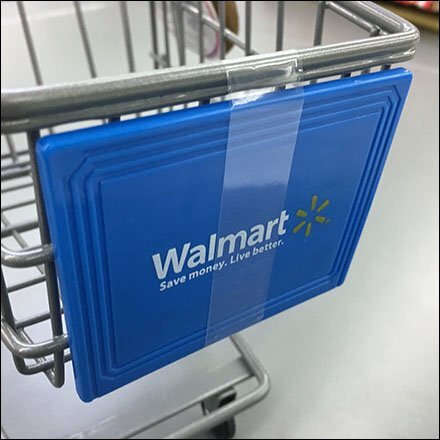 Every good marketer knows to reach out to the next generation of customers as here with this WalMart Lifestyle Branded Shopping Cart. If you grow up both shopping in and playing as a Walmart shopper, chances are you will be a Walmart shopper. There was no price on this miniature branded shopping cart. So you will have to put your own value on selling in order to reap the benefits decades hence. Consider this WalMart Lifestyle Branded Shopping Cart from a variety of angles in the gallery of images.